Northern Arena Experience ft. 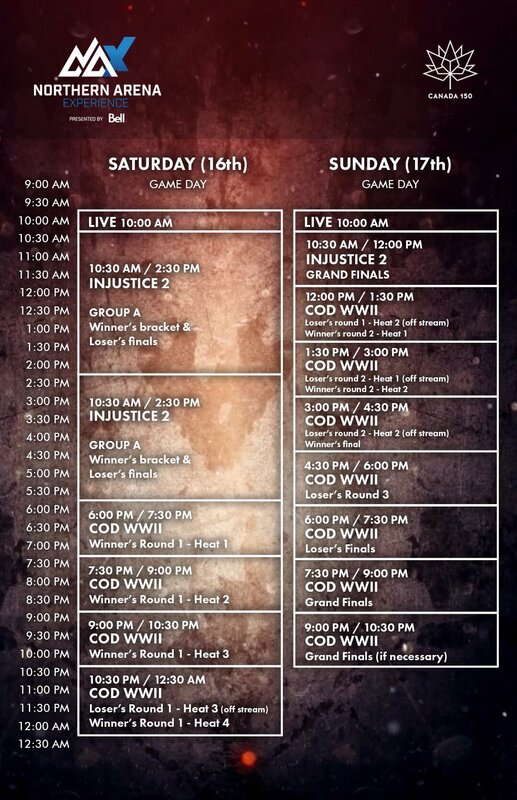 Call of Duty & Injustice 2 | Montreal Gaming - Leader des esports au Québec (Qc). 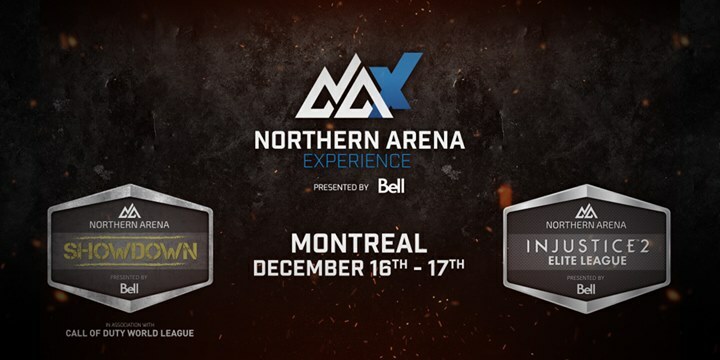 Northern Arena Experience est un événement canadien d’esports qui se déroulera du 16 au 17 décembre au Théâtre Impérial de Montréal, au Québec. Lors du NAx, Northern Arena présentera deux tournois. 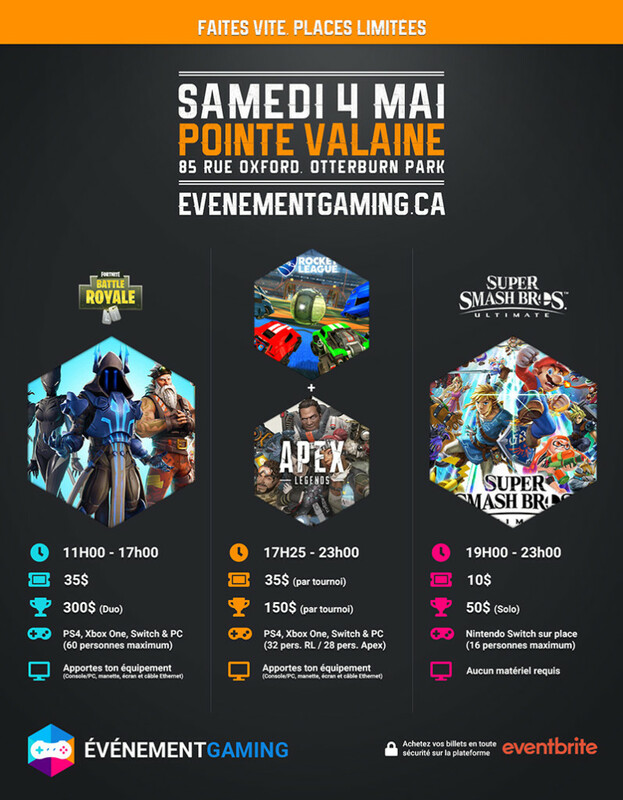 Le Call of Duty Showdown et la finale de la Injustice 2 Elite League. De plus, il y aura des conférences sur les sports électroniques dans le but de promouvoir les esports au Canada. Le NAx est ouvert à tous et les billets sont en vente au coût de 20$! The Northern Arena Call of Duty Showdown will be a part of MLG’s CWL 2018 Season. Eight (8) professional teams will travel to Montreal, Quebec to compete in Activision’s upcoming Call of Duty: WWII for a $30,000 USD prize pool and a total of 15,000 Pro Points from December 16th to 17th. The event will be taking place at the beautiful Imperial Theatre in downtown Montreal. The eight (8) teams will be comprised of four (4) invited teams and four (4) qualified teams from CWL Dallas. If a team who has been invited finishes in the top four (4) of CWL Dallas, then the next team in line will obtain the qualification spot. If there is a tie between two teams at CWL Dallas, the team with the higher amount of Pro Points will qualify. The teams will play in a double-elimination bracket in best of five (5) series. Each series will comprise of three different game modes. The game modes and maps will be announced upon launch of Call of Duty: WWII. All tournament games will be played on the PlayStation 4 console. The Northern Arena Call of Duty Showdown will be streamed on Twitch.tv and MLG.tv. The Northern Arena Injustice 2 Elite League will run from November 11th to December 2nd. Players across Canada will be competing against each other in this online league every Saturday for four weeks using their favourite DC Heroes to rise to the top of the rankings. All games will be played on PS4. At the end of the four-week Elite League, the top 16 players will be provided with an all expenses paid trip to fight for the championship and $10,000 CAD at the Northern Arena Injustice 2 Elite League Final. This live event will be held from December 16th to December 17th in Montreal, Québec. NAx will feature two Northern Arena esports tournaments, the Call of Duty Showdown and the Injustice 2 Elite League Final. It will also feature keynotes from industry leaders speaking about the esports space with a goal of promoting esports within Canada to all those interested. Tickets for #NAx are less than $20 for all attendees!